While building a stunning website and a polished marketing plan are two key components to running a successful business, it’s understandable that not everyone has access to the skills and resources needed to implement these necessities. This is where a company that specializes in both digital marketing and web design comes in. However, not every company is created equal, and choosing the wrong digital marketing agency can do more harm than good. If you are in the market for a company that will help grow your digital presence, here are some things you should look for. A great web design company understands that a website is not simply a website. They realize that a website will be the face, heart, and soul of a company. The way that a website appears and functions has the ability to make or break a business. Because of this truth, a great web design company is dedicated to making sure that you receive the highest quality website, and they will work with you through every step of the process. Don’t settle for a company that simply builds a website and hands it off to you. Search for a company that cares about the success of your business. It’s important to keep in mind that not every digital marketing agency has the ability to help you achieve success. Less reputable digital marketing companies will often apply a basic, one-size-fits-all strategy, without taking into account the uniqueness or particular strengths of a company. A marketing strategy that works for one company may not work for another, and any successful digital marketing agency will understand that. They will do their best to make sure your voice is heard, and they will treat your business as if it were their own. You don’t want to hire a company that only specializes in one aspect of marketing or design. You want a company that specializes in all areas. Having a company that only focuses on one aspect of your business puts you at an immediate disadvantage in comparison to your competition, who may be employing a more comprehensive approach to their business strategy. What does a versatile marketing company look like? A company that can handle all of your business needs often has experience producing videos, handling social media, and producing banner advertisements to place on other websites. Versatility is a big plus when you are considering whether you should bring a marketing agency onto your team. Without authoritative content and rankings lending credibility to your business, it may be difficult to successfully market your services to potential clients. One of the biggest factors to focus on is Search Engine Optimization (SEO). SEO is the process of driving natural traffic to your website through the use of keywords, social media, and content statistics. Content creation is another significant aspect of a comprehensive SEO strategy. Building up a solid, consistent base of content on your site is necessary, as it adds authority and a sense of client trust in your domain. 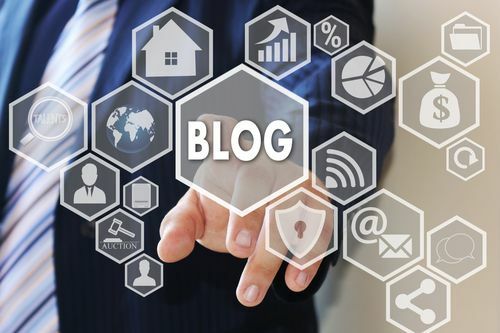 If you’re already attempting to run a blog or build a content-heavy website but are finding it difficult to keep up with the output necessary, there are plenty of businesses online that specialize in this form of marketing. So… What Value Do We Provide as a Digital Marketing Agency? Digital Coast Marketing is a web design and digital marketing agency based in Charleston, South Carolina. We specialize in all aspects of digital marketing, web design, and SEO, and we will help your business to flourish and reach its highest potential. While other companies only focus on one portion of building your online presence, we work alongside you through every step of the process to provide you with all the tools you need to be successful in your niche. If you can dream it, we can do it. To learn more about us and the services we provide, please call us at 843.619.7704 or fill out a contact form on our website.